Ever imagined a glass of whiskey mixed with soybean paste and tofu? While the combination may surprise many, the drink won the top prize at a local bartending competition. 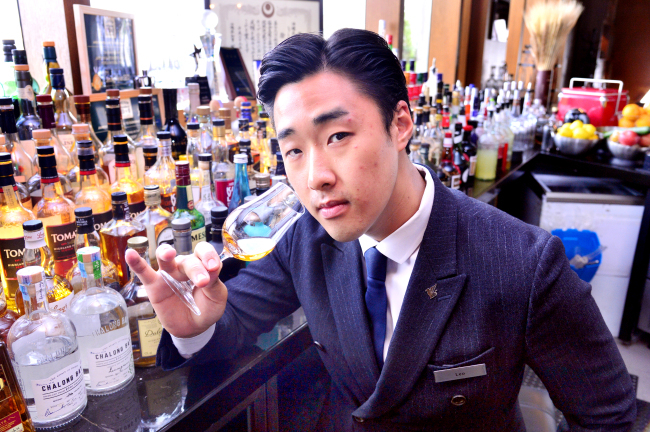 Leo Seo, also known as Seo Jeong-hyun, the 28-year-old head bartender at The Griffin in JW Mariott Dongdaemun Square Seoul, concocted the highly unusual cocktail and topped the local 2018 Jameson Bartender’s Ball held last month. In the global edition of the competition, he took fourth place. 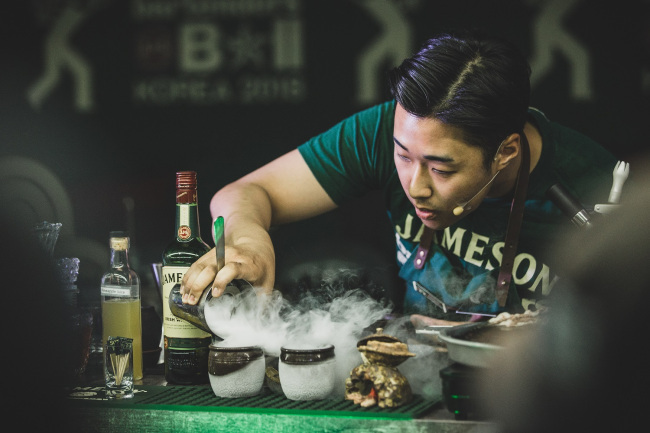 At the competition held in Seoul, he showcased a mixed drink dubbed Savory Oriental Taste, or shortened to “SOT.” He came up with the drink thinking of what would go well with chadolbagigui, or grilled beef brisket. “We had to pair a drink with a Korean dish, and I thought of chadolbagigui as it is not very challenging for foreigners. And the beef brisket is often enjoyed in doenjangjjigae, soybean paste stew,” the bartender told The Korea Herald in an interview at the Griffin. “I grafted the stew with the cocktail, putting doenjang powder into the whiskey. 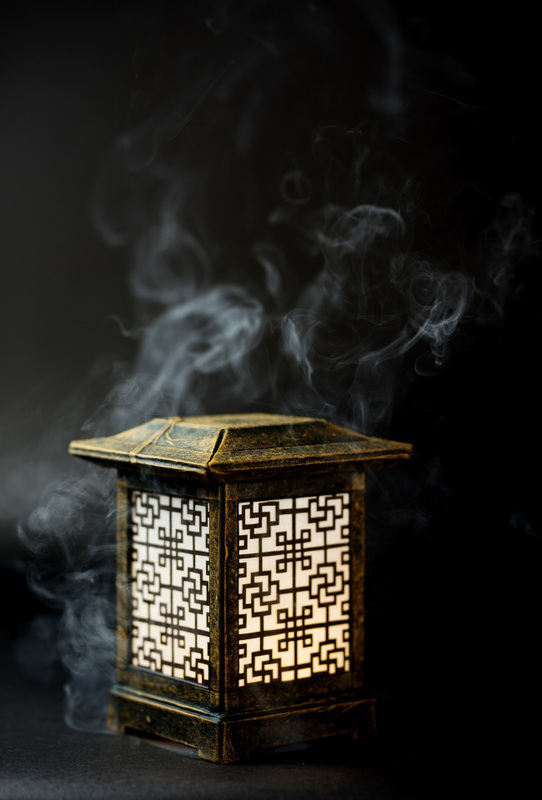 Though you may think the two won’t go well, the combination creates a savory taste with a refreshing finish, similar to that of miso soup,” he said. Seo then added tofu cream on top of the drink for a sweet and salty taste. 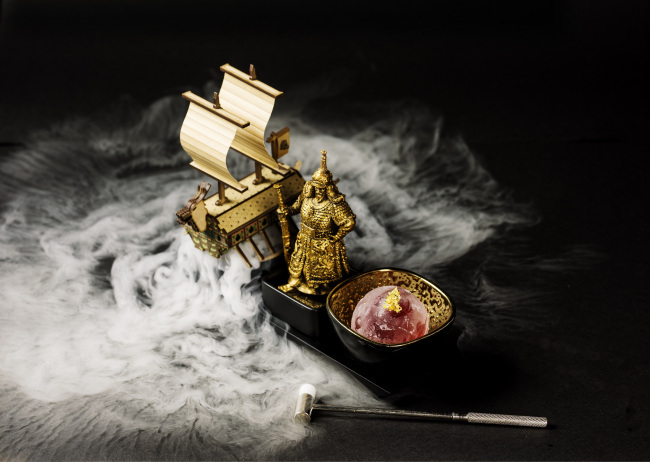 Dry ice, used for chilling, also added a soft carbonic acid to the drink while creating a dramatic performance. As can be gleaned from his doenjang-tofu cocktail recipe, Seo greatly appreciates his cultural background -- so much so that he is also an honorary ambassador for traditional Korean liquors. “I have had many chances to participate in global competitions. Other bartenders always asked me, ‘Doesn’t your country have any local drinks? Why do you use only Western liquors?’” he recalled. Feeling that he should represent the nation more as a “national bartender,” Seo decided to use traditional liquors in cocktail drinks. Not just the liquors, he added Korean ideas and concepts as well. The result was the Seoul Collection, available at The Griffin. 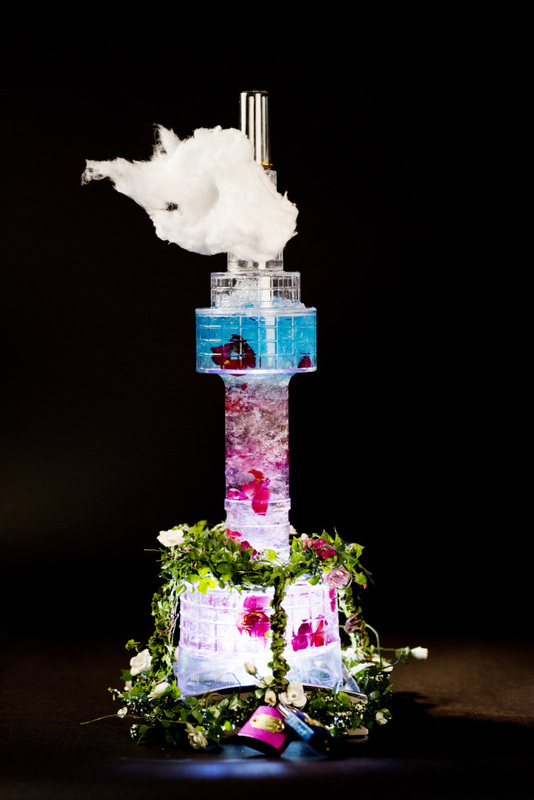 The cocktail collection includes four drinks inspired by Seoul and Korea. 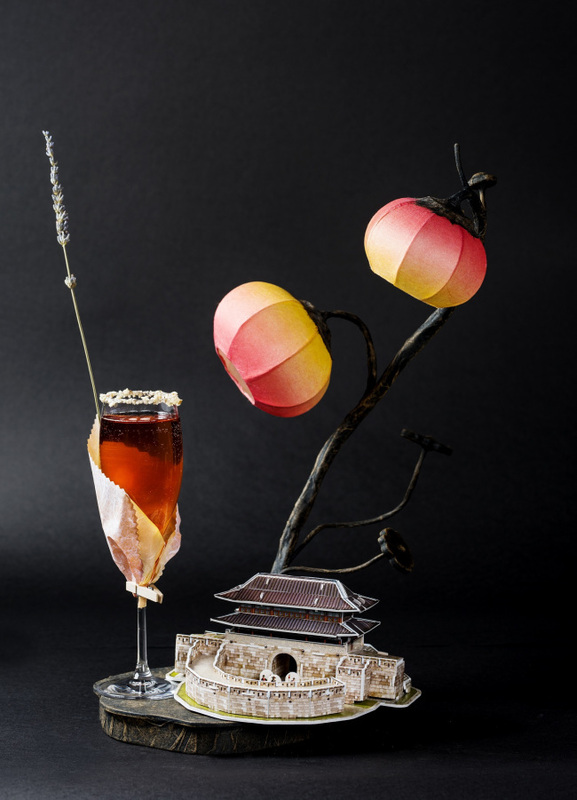 The drinks, made with traditional Korean liquors, are served in glasses and covered with customized ornaments. The ornaments are shaped after Seoul landmarks such as Seoul N Tower and the palace Gyeongbokgung. Since the collection’s launch in January 2017, the drinks have become best-sellers at the high-end rooftop bar. “As the ornaments are places foreigners often visit in Seoul, customers can relate to the drinks easily. Many visit The Griffin for the Seoul Collection, which makes me really grateful,” Seo said. The bartender, considered young in his realm, would like to help more bartenders become honorary ambassadors for traditional Korean drinks. “When performing at international bartending competitions, I feel a sense of responsibility as the national flag hangs at the back. I am overwhelmed with emotion at such events, it’s hard to explain,” Seo said. “Traditional liquors are often thought of as old, boring drinks that cannot be harmonized with other drinks or occasions. I want to break the prejudices,” he said.